Privacy is one of the core values of our profession. The ALA Code of Ethics urges all librarians to “protect each library user’s right to privacy and confidentiality with respect to information sought or received and resources consulted, borrowed, acquired or transmitted” (ALA). 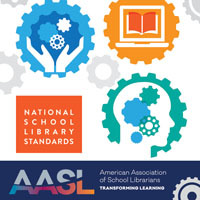 The AASL Position Statement on the Confidentiality of Library Records states, “The library community recognizes that children and youth have the same rights to privacy as adults” (AASL). Why is privacy important in school libraries? Traditionally school librarians have been aware of the connection between students’ First Amendment right to read and receive information in a school library and their need to feel confident that the topics they research or books they read will not be revealed. 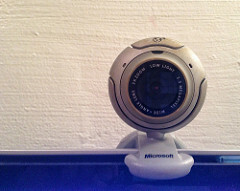 More recently, other threats to student privacy have occurred. As reported on the Choose Privacy Week website in fall 2015, a school district in Florida created a portal for parents and guardians to monitor remotely what their children and wards were checking out from school libraries. In an era of “Big Data,” there has been an explosion in the collection of student data in schools to monitor student progress and customize students’ learning experiences. As a result, privacy advocates are voicing concerns over the use, retention, and dissemination of students’ personally identifiable information. In 2014, the Data Quality Campaign and the Consortium for School Networking, along with other educational organizations, created ten Student Data Principles for how student data should be used and protected in schools. In a different initiative, over two hundred companies have signed the K-12 service provider Student Privacy Pledge, a document with twelve commitments to protect and use student data responsibly (Future of Privacy Forum). 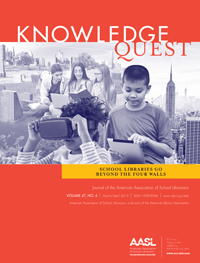 Note: The March/April 2016 issue of Knowledge Quest with its theme “Student Privacy in the Age of Big Data” contains a lengthy article, “I Agree, But Do I Know? Privacy and Student Data” by Debbie and Rigele Abilock. Dr. Anna Lauren Hoffmann, lecturer and post-doctoral scholar, University of Berkeley, School of Information, writing on privacy, technology, and self-respect. Erin Berman, San Jose Public Library, describing the library’s Virtual Privacy Lab with 7 modules to educate individuals about their online privacy. Michael Zimmer, associate professor at the University of Wisconsin-Milwaukee, speaking on using films and discussion to raise awareness of privacy issues. Jamie LaRue, new executive director of the ALA Office for Intellectual Freedom, discussing a school library story about a dilemma faced by a school librarian when asked for a record of what a student had been reading. Deborah Caldwell Stone, deputy director of the Office for Intellectual Freedom, describing resources available on the Choose Privacy Week website. After Choose Privacy Week, the following resources will help you educate yourself, students, teachers, and administrators about student library and data privacy. ALA’s Privacy Tool Kit. 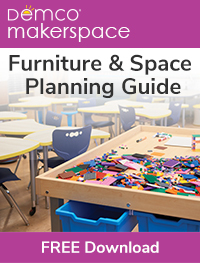 Check out the section about protecting students’ privacy in school libraries. Common Sense Media. CSM provides Privacy and Internet Safety Q & A’s, articles, and videos for parents with advice based on children’s ages. US Department of Education’s Privacy Technical Assistance Center (PTAC): Billed as one stop shopping, this site provides educators with a PTAC Toolkit containing a growing body of information in the form of “case studies, webinars, checklists, technical briefs, issue briefs, and other useful information” designed to guide educational institutions in collecting and protecting students’ data (US DOE). American Library Association. 2008. Code of Ethics of the ALA. http://www.ala.org/advocacy/proethics/codeofethics/codeethics/. American Association of School Librarians. 2012. Position Statement on the Confidentiality of Library Records. http://www.ala.org/aasl/advocacy/resources/statements/library-records/. Future of Privacy Forum. “200 Companies Serving Students and Schools Have Signed the Student Privacy Pledge.” November 12, 2015. https://studentprivacypledge.org/200-companies-serving-students-and-schools-have-now-signed-the-student-privacy-pledge/. moore.owen38. 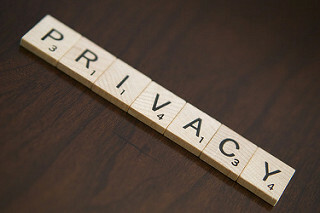 “Privacy Written in Tiles.” Used under Creative Commons Attribution license. https://www.flickr.com/photos/132053576@N03/17765606909/sizes/l/. CaptMikey9. “Day 300: Hello NSA!” Used under Creative Commons Attribution license. https://www.flickr.com/photos/mjsciald/10532173145/sizes/l/. G4ll4is. 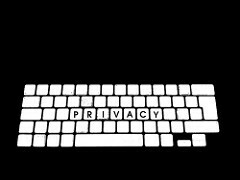 “Privacy (keyboard).” Used under Creative Commons Attribution & ShareAlike license. https://www.flickr.com/photos/g4ll4is/8521624548/sizes/s/. 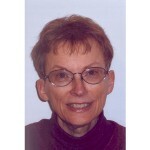 A former school librarian in Wisconsin, Helen Adams is an online senior lecturer for Antioch University-Seattle in the areas of intellectual freedom, privacy, library ethics, and copyright. A member of the AASL Knowledge Quest Advisory Board, the ALA Intellectual Freedom Committee, and a KQ blogger, she is the author of Protecting Intellectual Freedom and Privacy in Your School Library (Libraries Unlimited, 2013) and contributor to The Many Faces of School Library Leadership (2nd edition, Libraries Unlimited, 2017). Email: hadams1@centurytel.net.